LEXINGTON, Ky. (Feb. 4, 2019) — UK HealthCare has temporarily amended its inpatient hospital visitation policy beginning Monday, Feb. 4 to be proactive in helping protect the health and well-being of patients and health care workers during this flu season. The Centers for Disease Control and Prevention is currently reporting flu is widespread in Kentucky. 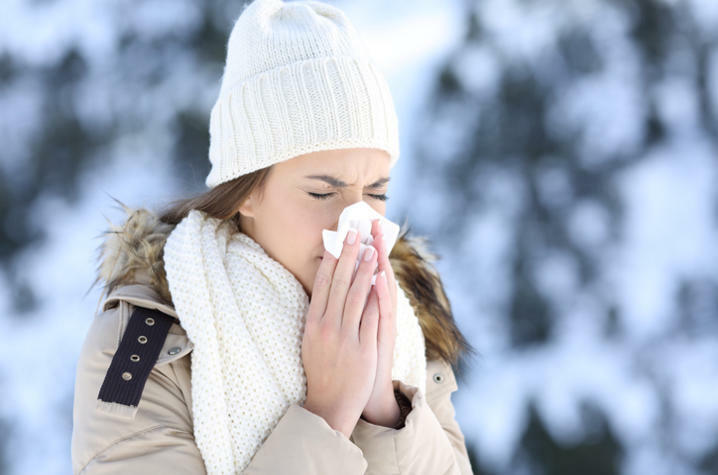 Although the number of flu cases is lower than last year at this time, UK HealthCare is seeing an increase in the number of patients with influenza-like symptoms. As of last week, UK HealthCare reported 194 lab-confirmed influenza cases so far this flu season, including 96 in the past week. No visitors under the age of 12 (except in Bone Marrow Transplant where no visitors under the age of 18 are permitted). No visitors with any symptoms of flu-like illness. Only two visitors will be permitted in a patient’s room at one time. Visitors may be issued masks or other protective clothing for use when visiting. Additional restrictions may be in place in special care units such as women's and children’s units, critical care and oncology units. Compassionate visitation exceptions will be made on a case-by-case basis. "These procedures are designed to help protect patients, visitors and staff from exposure to the flu and are in effect at all UK HealthCare inpatient units including University of Kentucky Chandler Hospital, Kentucky Children's Hospital, UK Good Samaritan Hospital and Eastern State Hospital," said Dr. Derek Forster, medical director for infection prevention and control at UK HealthCare. It is still recommended anyone six months of age and older who haven't received a flu shot, receive one. A flu vaccination is still the first and best way to prevent influenza. Everyday preventive actions are also recommended to stop the spread of germs. Covering your nose and mouth with a tissue when you cough and sneeze. Washing your hands with soap and water or an alcohol-based hand rub, if soap and water aren't available. Avoid close contact with sick people when possible.